IBM announced Wednesday that it plans to buy MDM (master data management) vendor Initiate Systems. Terms of the deal, which is scheduled to close in the first quarter, were not disclosed. Master data refers to classes of information such as products or suppliers that are common to a number of systems and applications within a company. MDM software is used to make sure master data entities are kept consistent and accurate. 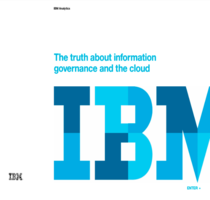 Initiate’s particular strengths lie in the health care and government sectors, IBM said. Vendors have been moving to add MDM capabilities to their lineups. Just last week, IBM rival Informatica announced the acquisition of Siperian. IBM’s move was not unexpected. Altimeter Group analyst Ray Wang recently predicted Big Blue would buy Initiate as a response. Competitors responded quickly to IBM’s announcement Wednesday. Informatica weighed in as well, stating it has “the unique advantage of remaining the vendor neutral provider” of MDM, as well as strong relationships with the world’s top systems integrators. In addition, Siperian’s software was already integrated with Informatica’s, while IBM is pushing overlapping approaches to MDM “that seem sure to cause customer confusion,” the statement claimed. During a conference call Wednesday, an IBM executive painted the Initiate deal in decidedly rosier terms. The acquisition is “all about growth and synergy,” said Arvind Krishna, general manager of information management at IBM. There are multiple styles of MDM that address different scenarios, and IBM expects customers will ultimately deploy more than one MDM system, he added. Initiate Systems’ technology includes a “strong and proven” customer data-integration platform as well as “best-in-class data de-duplication, security and privacy,” Altimeter Group’s Wang said in a blog post Wednesday. But now IBM has to weave Initiate’s technology into its other MDM platforms, which include offerings aimed at PIM (product information management) and CDI (customer data integration), Wang wrote. More acquisitions in the MDM space could follow, with potential buyers including EMC, Hewlett-Packard, SAP, Microsoft and Oracle, according to Wang. MDM technology is becoming a foundational element of enterprise IT and vendors’ software stacks, particularly as companies seek to tie their own systems and data to the broader Internet, he added in an interview.